Highland Single Malt Scotch Whisky distillery, Balblair, is announcing the release of four new vintage expressions in the U.S. market this month. The newly released whiskies include the Balblair 2003, 1999, 1990 and 1983 vintages, which were each distilled on the idyllic coast of the Dornoch Firth. This is the first time that Balblair, which was recently awarded Highland Distillery of the Year by the New York International Spirits Competition, has ever launched a four product vintage range simultaneously in the US. Balblair, which rolled its first barrels in 1790, is the only distillery in Scotland to release exclusively vintages. Distillery Manager John MacDonald hand-selects each cask and only releases whiskies that have reached their exact point of ‘optimum maturation.’ Given this natural philosophy, bottles of Balblair are not marked with an age statement, but instead with the year that the whisky was laid down. To round out the flavor profile, the 2003 and 1983 vintages were aged in American oak, ex-bourbon barrels, which lend citrus fruits, apricots and honey to the nose. On the palate, both vintages are also full bodied with notes of orange, lemon, honey and spice, followed by a long lasting finish. For additional complexity, the 1999 and 1990 vintages were aged in American oak, ex-bourbon barrels with the addition of Spanish oak sherry butts, which impart the signature Balblair aromas of honey and green apple. On the palate, these vintages are spicy and sweet. Each of the four new Balblair vintages were bottled at 46% ABV without chill filtering. 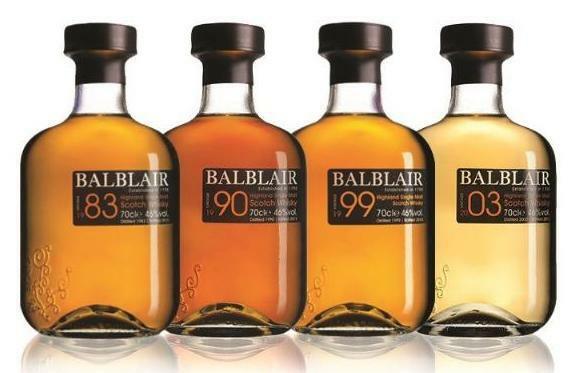 Balblair 2003, 1999, 1990 and 1983 vintages will be available in major markets nationally this month, at a suggested retail price of $70, $90, $140 and $330respectively. 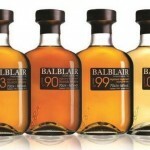 For more information, visit www.balblair.com.